Saturday night the Riviera Theatre hosted the Greg Kihn Band and John Ford Coley. The two artists are as different from each other as night and day. Kihn used the early 80s for hitting his commercial peak while Coley along with his partner England Dan were all over the charts in the mid-to-late 70s. When interviewing John Ford Coley he said he wasn’t sure who Greg Kihn was as he was used to touring with the likes of Bread, Orleans and Ambrosia. Well anyone who was at the show will never forget Kihn after seeing him perform with his current band. 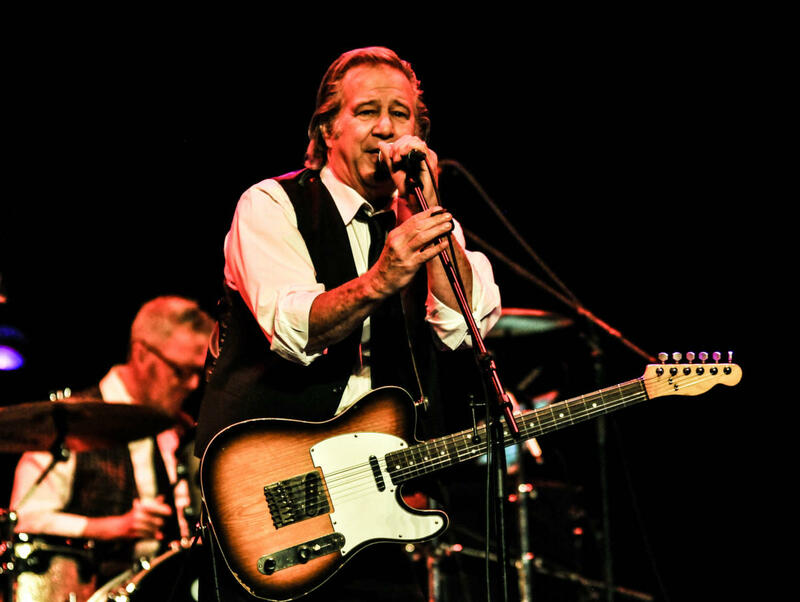 Kihn kicked off his 90-minute affair with “Another Girl, Another Planet” and kept the audience captivated throughout with his stories and his set which featured three new songs from his latest release Rekihndled which was released last year. Kihn thanked Weird Al Yankovic for making him a richer man as he introduced “Jeopardy”. The song helped both artists with Kihn’s version climbing to #2. Ironically it was held from the top spot by Michael Jackson’s “Beat It”, another song Yankovic parodied. Other highlights from Kihn’s set were “The Life I Got”, “For You” and of course his first hit single “The Break Up Song (They Don’t Write ‘Em). Ry Kihn, Greg’s son not only is the lead guitarist but also took a turn on lead vocals during “Happy Man”. It is not too often Kihn gets to come back to Buffalo. Kihn as some may recall has a connection to Buffalo, one he will never forget. It’s where he met and married his 2nd wife who was a 97 Rock angel in the early 80’s. The evening started off with the great musicianship, wonderful storytelling of the dry humored John Ford Coley. Coley who is best known as half of the dynamic duo of England Dan and John Ford Coley, did a solo act where he switched up playing keyboard and guitar. He started off with four straight songs from the duo including top-10 smash “We’ll Never Have To Say Goodbye Again and “It’s Sad To Belong” another top-40 hit. Coley released double-album Eclectic last year which features Vince Gill, T. Graham Brown and Collin Raye to name a few. From Eclectic he performed “She Don’t Talk About California” and “Cottonmouth Grove”. The best feature of Coley’s set is his unpredictability when it comes to his wonderful storytelling mixed with his dry sense of humor leaving his fans total engaged into his show. He ended his set with three of biggests songs of his career in “Nights Are Forever Without You”, “I’d Really Love To See You Tonight” ending withe the Todd Rundgren penned “Love Is The Answer”. Coley put on a fantastic opening set. For those that missed it, you will get another chance in March when Coley comes back to the Riviera to open for the Pure Prairie League. Coley vowed to play some different songs next time too. Don’t make the same mistake twice. These are the kinds of shows that attracts mostly an older crowd who perhaps may have never had the opportunity to see these talented artists. It also provides a chance for the younger ones to try experience some artists from different eras of which they may not even been alive during. Both Kihn and Coley played satisfying sets that pleased everyone and both may have gained a few new fans in the process.